Last week was the week of all the appointments. Most weeks, I only leave the house a couple times, mostly for errands. But last week, I was out every day and for 3 of those days I was out of the house for the entire day. I did get crafting done and turned in for HPKCHC classes by the end of the month, but I did not write blog posts on my crafting. 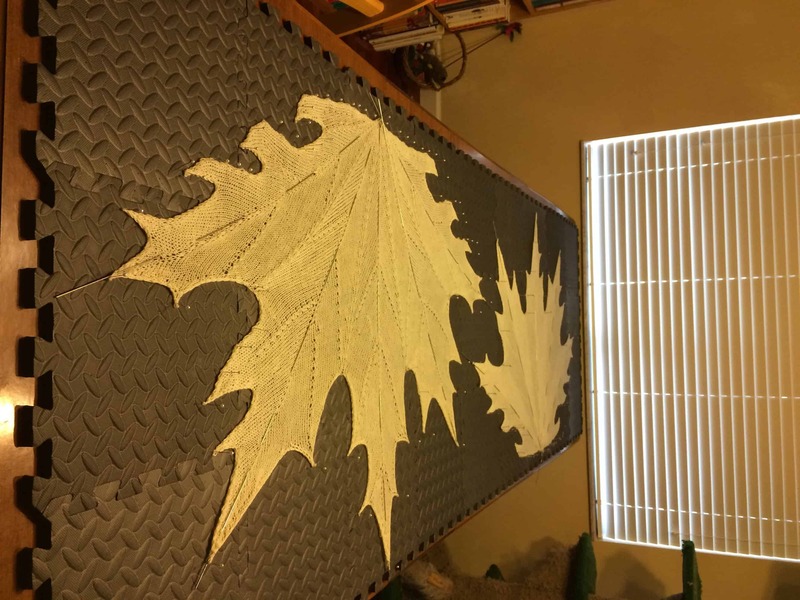 The completed crafting included two more MAPLE LEAF Shawls. I do not have a lot to say about these shawls at this point. I’m just knitting them as quickly as I can. I still haven’t been able to memorize this pattern. I understand how the pattern works, but there’s enough variations from one line to the next that I can’t memorize it. I can do short sections without looking at the pattern (for example, I know the decrease pattern for the smaller points), but for the most part I have to read the pattern every time. I submitted MAPLE LEAF the Seventh for HPKCHC Charms homework. The prompt for Charms was to craft something on automatic, either something simple or something you had crafted many times before. 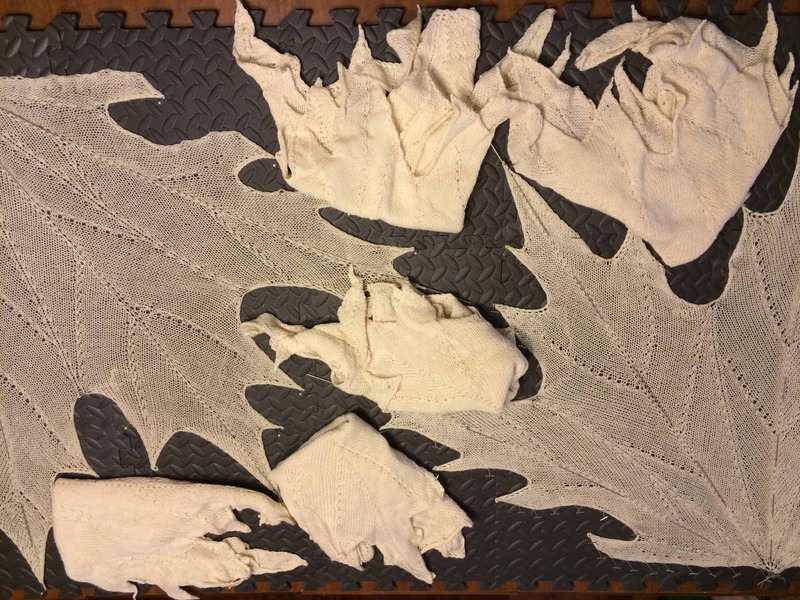 I included a picture of all the MAPLE LEAF shawls as part of my homework submission.